E-commerce has shifted the way people shop. Increase sales has shown on products that customer can try in-store. We created a Try-Buy formula that became the guidance on merchandising devices with Windows on third party retailers. 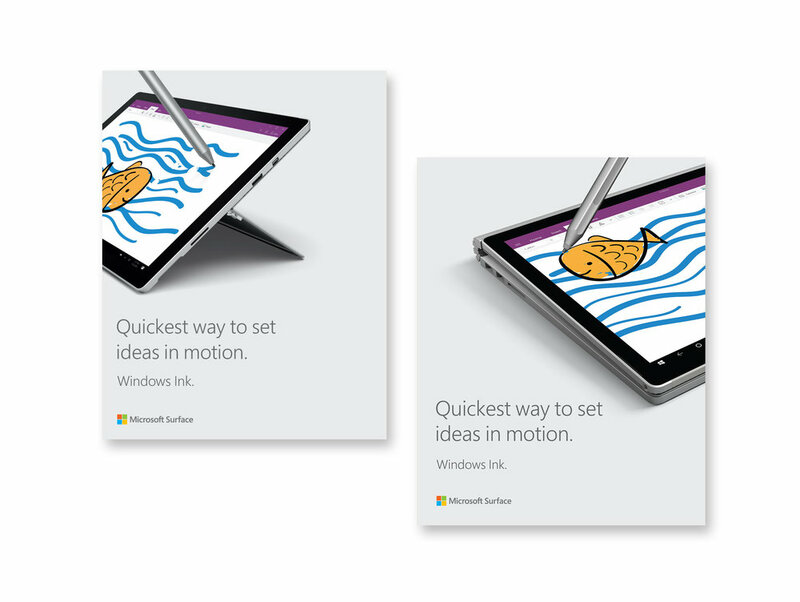 Working in partner with Hong Phi Tran (Digital Designer), we were challenged to create cohesive retail campaigns for Windows latest features; Windows Ink. 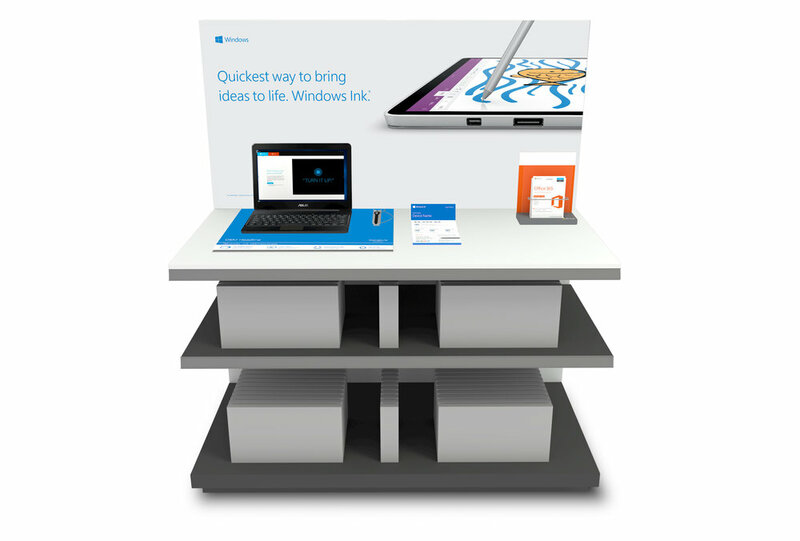 This campaign was also carried to Microsoft Surface line of business. 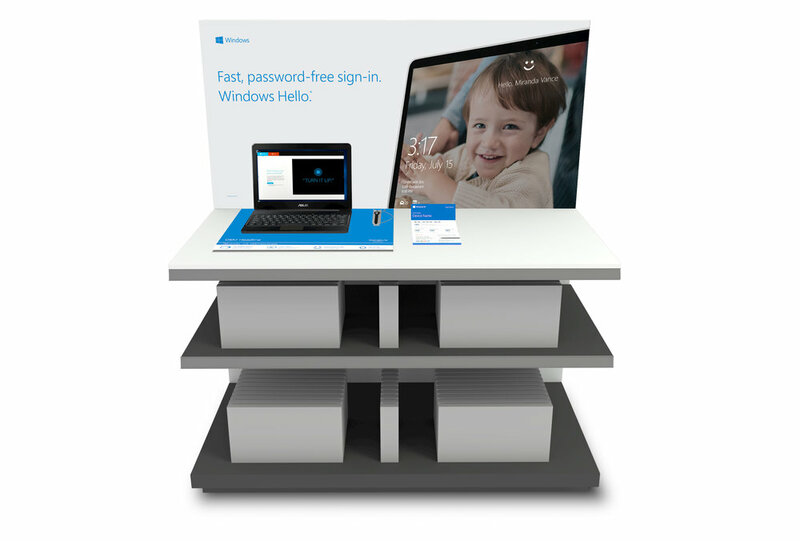 Alongside Windows Ink 2016 Holiday campaign, we were also asked to create retail campaign materials to highlight Windows Hello sign-in with facial recognition feature. Following Xbox brand guideline, my main role on Xbox line of business was to provide art direction to a production team in creating variety of XBOX in-store marketing materials from game release to hardware promotion.